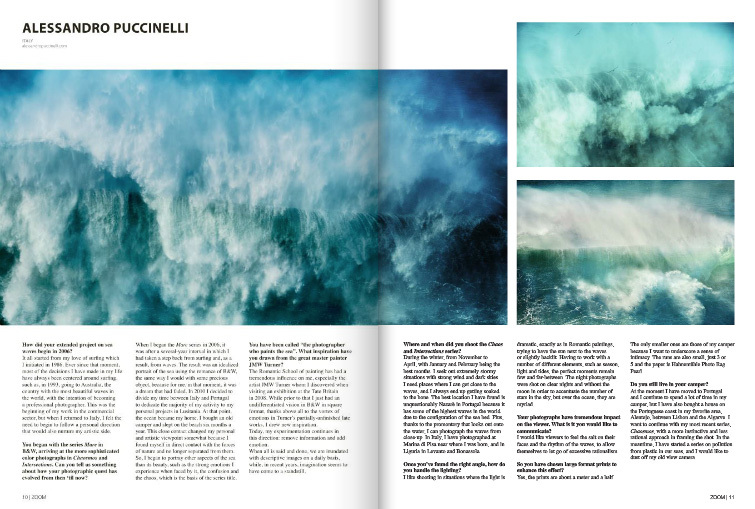 Beautiful 10 pages article about my works on Zoom Magazine Italia, which has always been a point of reference in photography since the early days of my beginning as a photographer. Thanks to Sara Namias for her nice words and for this great opportunity. The magazine is available in the newspaper kiosks in Italy as well as on their website.